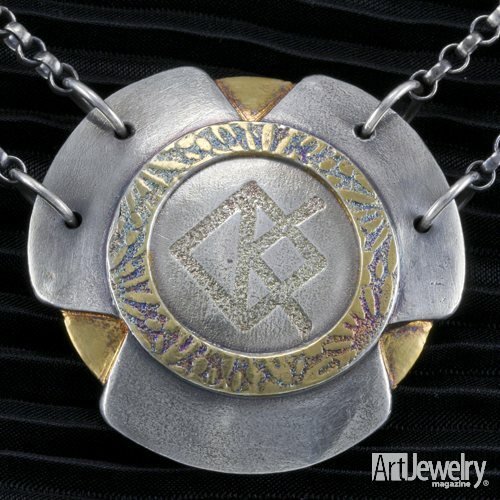 Much of Karen Christiaens’ work is inspired by early runes of central Europe. Click on any of the floating images on her web page to move to a gallery of work, encompassing a wide variety of materials and themes. I would love to wear something like this. It looks powerful and bold.